One Last Show To Be Announced! We'll announce our next show soon! Keep checking back. for our tempest of percussion. Thank you! Our show on February 25th at Hipbone Studio raised $900 for EEBS school in Nepal. Kiran Karjit will finally be able to purchase a printer for the school and many much needed items for the classrooms. Willamette Weekly writes, "This doesn't sound like anything we've seen in Portland in ages." When a stranger comes to Batuwaa, the mystic and the modern clash. 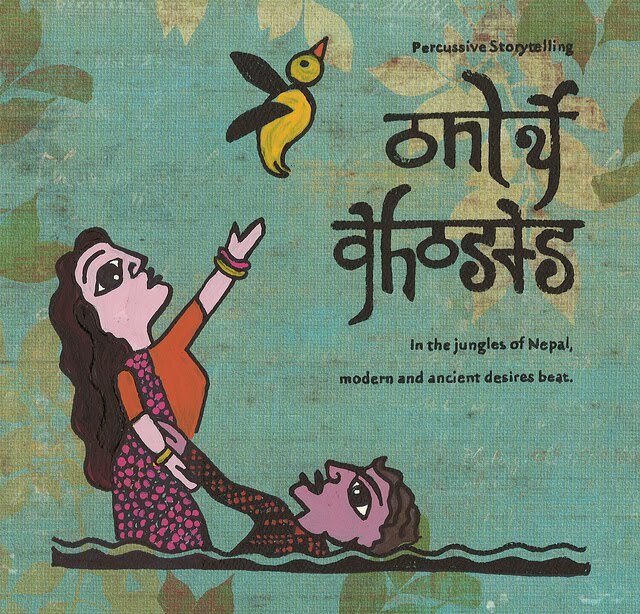 Voices, percussion music, and story meld into the pulse of a mysterious pool, Bhoot Pool: the place the villagers of Batuwaa fear; the place the forbidden are free to love. Of course, all freedom has its cost. Prasanna Dhoj Pradhan's CD on his website Available now! Ragon Linde's new CD Available now! A. Molotkov's new chapbook Available now! A. Molotkov's CD Available now!